Are you ready to add smart technology to your home in the Parksville area? We’re here to help. We are your local dedicated partner for expert automation solutions, lighting control, motorized window treatments, and more. 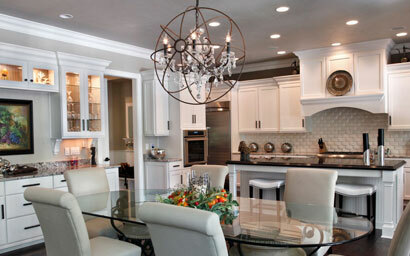 Our custom services are entirely dedicated to enhancing your lifestyle. Learn more about the most popular technologies we offer below! Your life is simpler and your home functions better when all your smart products and systems work together. Imagine coming home and pressing the ‘Welcome’ button to deactivate the alarm, turn lights on, set the perfect temperature, and play your favorite music. If remotes are piled on your coffee table or your walls are cluttered with banks of switches, knobs, and panels, let our integrated solutions help streamline your space and reduce frustration. Your lights can do so much more than simply turn on and off. With smart lighting control, your lights become a controllable element that helps enhance your home through energy management, ambiance, decor, and more. 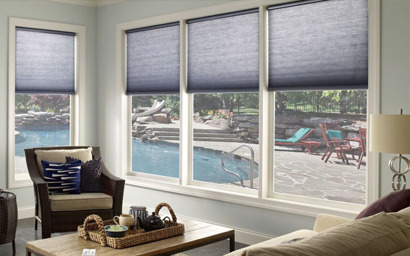 With motorized window treatments you can easily adjust the amount of daylight in your home to increase comfort, save energy, and protect interiors. Motorized shading and drapery transforms harsh glare into soft pleasing light, enhances privacy while preserving exterior views, reduces solar heat gain, provides UV protection of expensive furnishings and artwork, and provides the ability to change daytime into nighttime for restful sleep with the simple press of a button. Want a different technology from the ones mentioned above? Not a problem! We’re a full service smart home automation company, so please contact us today to learn more about the different options. Have a free, no-obligation consultation with one of our smart technology experts.